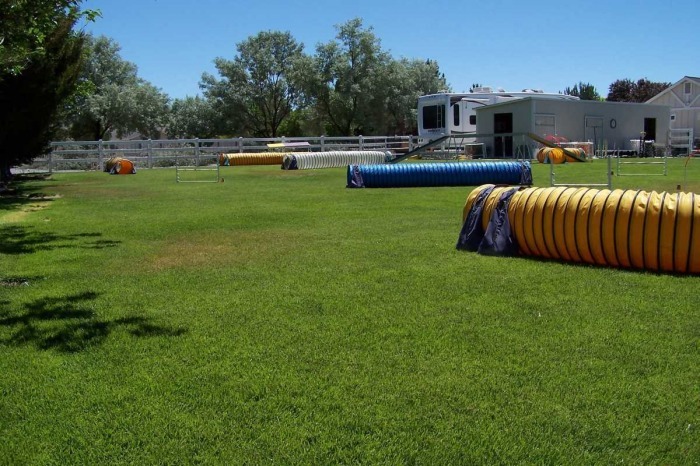 mdt/Agility Ability LLC, owned and operated by Lin & Greg Battaglia, is located 12 miles north of the Reno-Sparks, NV area, in the beautiful Spanish Springs Valley. 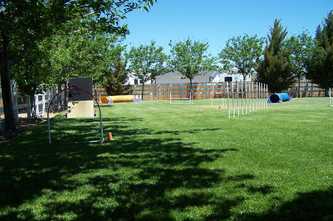 We train dogs for k9 agility and obedience competition. Our facilities are fully fenced, and our equipment is state of the art, making for a safe, comfortable environment in which to train dogs. 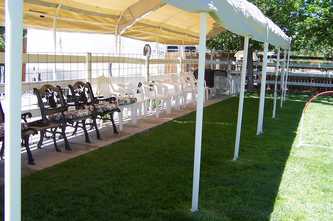 We are able to train outside all year around, and have been at this location for over 20 years. ​Lin Battaglia is a well known, respected trainer and agility competitor in the US and Canada. Lin's own dogs have earned over 135 North American Dog Agility Council (NADAC) agility championships (12/2018). ​and are NADAC HALL of FAME dogs. Over the years Lin's dogs have won overall placements at the yearly International NADAC Championships. Many of her students' dogs have also earned Agility Championships, and are very accomplished. She has also been a Purina Incredible Dog Challenge competitor and winner. 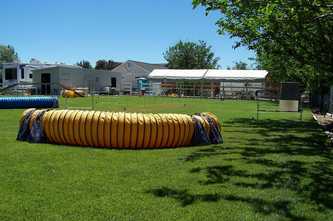 Greg and Lin were responsible for starting several of the agility venues in the Reno/Sparks area. 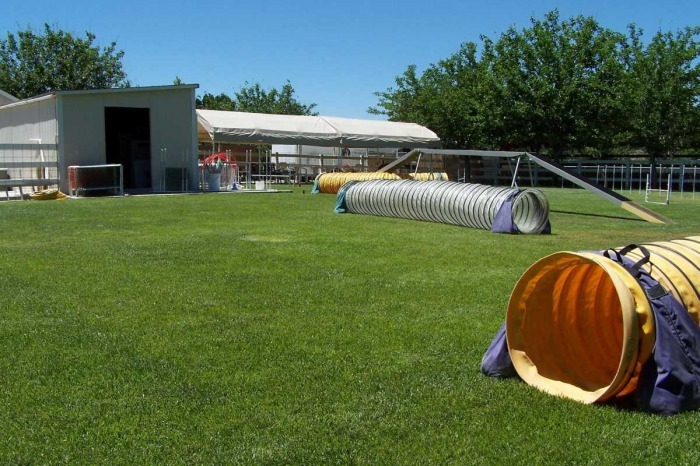 They produced the first AKC, NADAC and CPE agility trials in Nevada. Lin's dog Gats-B (a Sheltie) was the first NADAC and ASCA Agility Dog Champion in the state of Nevada. Lin was the founding director of the Therapy Dog Program at Renown Medical Center in Reno, NV. She was also the founder of the Ready-2-Run Agility Club of Reno, NV. mdt/AA LLC continues to mentor new agility clubs and people into the sport. public libraries, churches, 4H and other non-profit groups. Lin also evaluates, trains and helps place local rescue dogs. mdt/AA LLC utilizes safe, regulation agility and obedience equipment. You are welcome to visit the facility at any time. With over 50 years of experience training dogs, our philosophy and belief is that dog training should be fun for both dogs and people. No harsh treatment is allowed or used during any of our training sessions. Motivational techniques are used to encourage the desired behavior, and make training pleasant, fun, simple and effective for both dogs and people. Train, Expose, Proof, Expect - then Trust what you have trained. 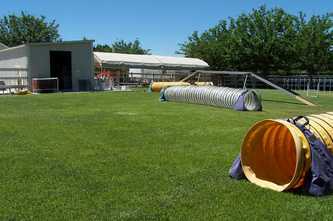 Our accomplishments in the agility, obedience and herding arenas are many. Our dogs' titles can be viewed for each dog via the Our Pack page. We also strive to give back to the dog community through volunteer efforts and monetary donations as often as possible. We established a grant with the Morris Animal Foundation when our dog Pepper died of Canine Lymphoma in 1999. We are dedicated to helping find a cure for canine cancers. We have raised and directed over $122,000 to the Pepper/Sampson Grant Fund #335 . We believe strongly that as dog owners, it is our responsibility to keep our dogs safe and healthy, and to treat them with only kindness and respect. Dogs are not a disposable commodity. They are a part of our lives, and a well-trained dog does not become a disposable dog. 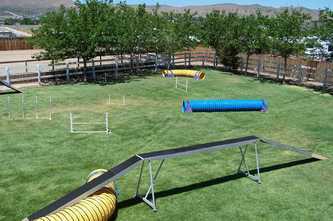 Looking for an Agility Trainer? How long have you been an agility instructor? Where did you receive your agility training? 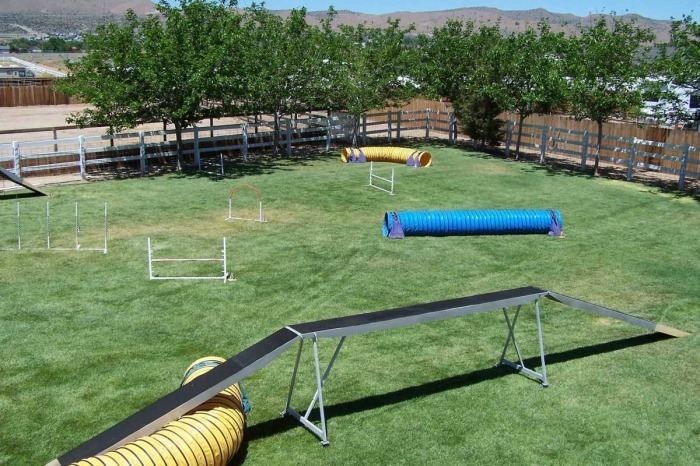 Do you compete in agility? What agility venues do you teach? What are your agility accomplishments? Are your students successful and accomplished?